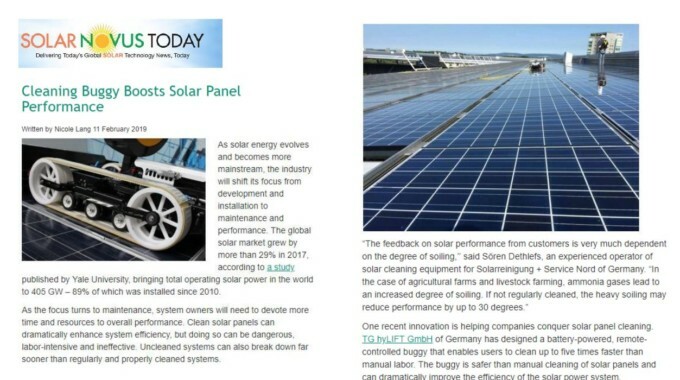 Germany-based TG hyLIFT GmbH has introduced a remote-controlled machine for cleaning solar components. 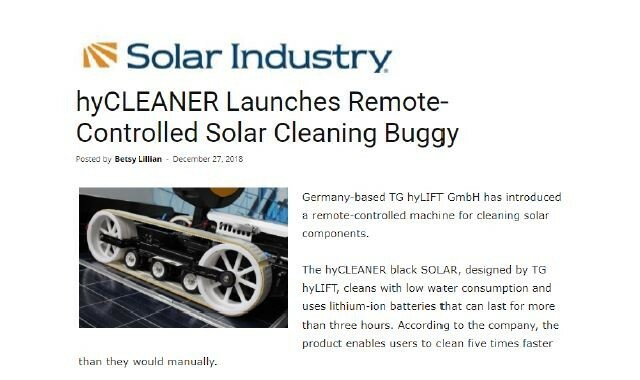 The hyCLEANER® black SOLAR, designed by TG hyLIFT, cleans with low water consumption and uses lithium-ion batteries that can last for more than three hours. 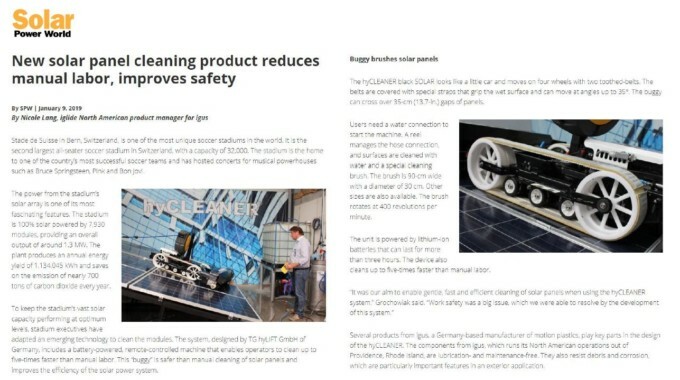 According to the company, the product enables users to clean five times faster than they would manually. 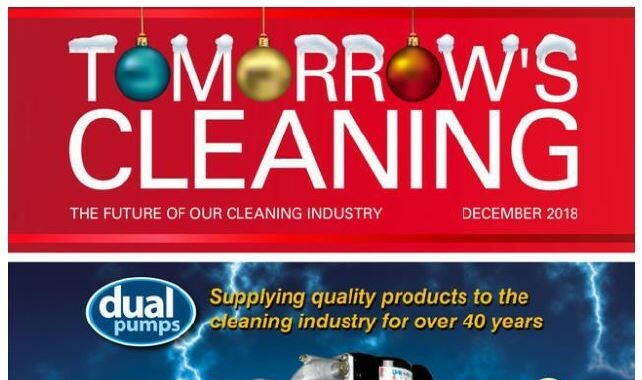 23,000 industry representatives from more than 70 countries, including 18,300 trade visitors from every branch of the cleaning sector, were able to obtain information about the commercial cleaning products and services on offer. 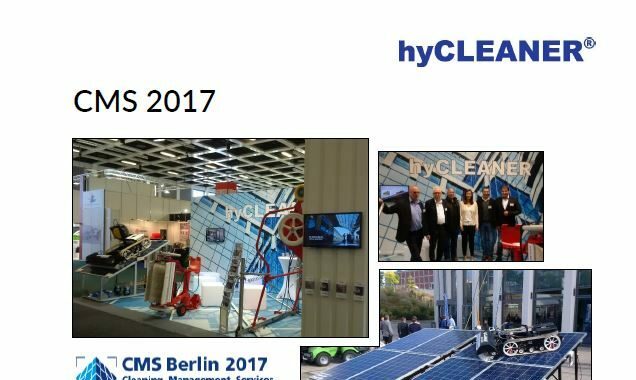 We thank you for visiting our booth during CMS 2017, which was held in Berlin recently. 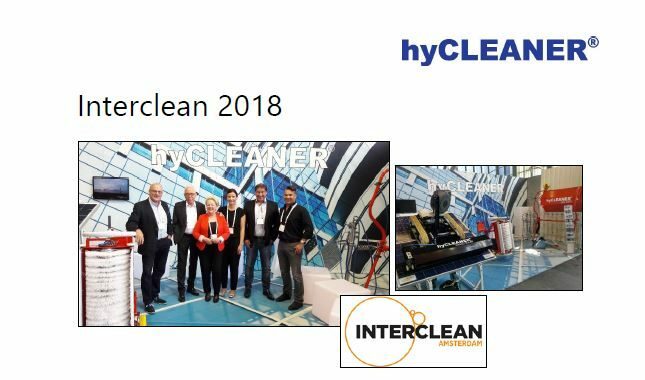 CMS was an excellent opportunity to present our hyCLEANER® systems live. 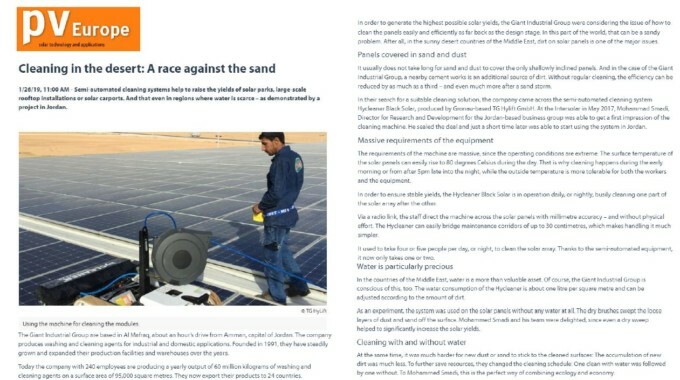 We hope you have enjoyed the show as much as we did. Excerpt from the the TV Show “Abendschau” dated 29.08.2017.